This is the place where you can come to learn about The Source Connection Coaching Program which is designed to guide you on an individualized Path of Ultimate Spiritual Healing to the 100% Source Connection and the 100% Source-Connected Way of Life that will yield the Heaven of Total Abundance at the highest level. The Source Connection Coaching Program is Source-Designed to help you become a Source-Directed Spiritual and Social Activist who can work with the miracles of the Source to manifest The Miracle of Total Abundance for yourself and others. At the highest level, Total Abundance is a return to a 100% Source Connection which yields the Total Abundance of The Heaven Experience, which transforms life into the Heaven that it was created to be. travel your Journey of Reconnection to eliminate the Gap between you and the Source. Scarcity and hardship come into your life in the Gap, countering your attempt to manifest Total Abundance. understand the history of the Creation, where we are now, and what lies ahead. Specially, it is necessary to understand that the Creation is in the greatest Universal Transition since the beginning of the Creation and your Source Connection and the Source Connection to The Miracle of Life is hanging in the balance. Those who learn how to Steward The Miracle of Life will survive The Transition and will help life in the Creation to survive. become a Source Connection Coach, helping your loved ones and others in the community through Inner Plane and Outer Plane coaching. become a part of The Universal Total Abundance Team that is working with the Source to manifest Total Abundance. Those who enter into The Source Connection Coaching Program enter into this Team. These are just some of the many things that you learn how to do in The Source Connection Coaching Program. The information that I provide in the sections below will help you to fill out the picture. Those who travel this Path receive 24/7 Source Guidance and Source Support as they learn how to become Source-Directed Spiritual and Social Activists who are skilled in working with the miracles that transform their lives and all of life into The Heaven that Life Was Meant to Be. They work alongside me on The Global Prototype for Total Abundance that will enable life on this planet to transition out of The Scarcity Way of Life that has yielded suffering into The Total Abundance Way of Life that will yield The Heaven of True Happiness which, at its highest level, is The Heaven Experience. The Heaven Experience is a quintessential experience of the love, bliss, joy, adventure, and extraordinary life experiences that transform life into the experience of Heaven that it was created to be. Those joining The Source Connection Coaching Program are entering into a one-on-one Miracle-Friendly Working Relationship with the Source through my Manifestation, which is the Manifestation of the Implementation Aspect of the Source. The Implementation Aspect is the aspect of the Source that incarnates into The Manifest World to help Manifest Beings learn how to become Stewards of The Miracle of Life so they can maintain the gift of The Miracle of Life when the Implementation Aspect returns to the Source Level. The Transition of the Implementation Aspect of the Source back to the Source Level is currently underway with only a few decades remaining. Manifest Beings must learn quickly how to become Stewards of Life if The Miracle of Life is to be sustained. Work on achieving a 100% Source Connection has always been at the heart of what it takes to have Life as Heaven. Now that my Implementation Aspect is transitioning back to the Source Level to rejoin the Design Aspect, ending the presence of any manifestation of the Source in the Manifest World, it has become essential for beings to achieve a 100% Source Connection in order to retain their Source Connection during and after the Transition. Entry into The Source Connection Coaching Program is an important step toward learning how to Steward your own life and all of Life. In this Program, training is given through many modalities that I describe below and is available on both the Outer Plane – The Physical Level of Reality – and on the Inner Plane – The Spiritual Level of Reality. Because I can communicate with and train beings throughout the entire Creation, through my Extended Range, which is often outside of my conscious awareness, those participating in The Source Connection Coaching Program include beings working with me on the Outer Plane on the Earth and those working with me on the Inner Plane. Inner Plane Heaven Agents communicate with me via The Soul Talk Network, communicating in The Universal Language of Soul Talk. They come in from the 14 Prototype Communities who prototyped a Total Abundance Way of Life in The First Creation and from beings in The Second Creation who have established a Total Abundance Way of Life at the onset of their world. It also includes those working with me on the Inner Plane on the Earth and from other locations in The First Creation, which is where the Earth is located. Those working with me in the Outer Plane Coaching Program learn from others coming in via The Soul Talk Network when I translate their Soul Talk Communications into English. As they advance in their work with me they learn how to speak in the language of Soul Talk and to communicate directly with beings throughout the Creation. This training is essential to forming a Universal Community that can work together to Steward The Miracle of Life in the Creation after I leave for my Source Level. For an overview of what it means to become a Source-Directed Spiritual and Social Activist working with me in The Total Abundance Movement, you can go through The Four Steps for joining The Total Abundance Movement. This is the best compilation of introductory materials available to introduce you to this Work and to give you direction in how to work with the wealth of Introductory Source-Directed Activism Training Materials available on this web site. These Training Materials provide you with the Gifted Introductory Training that is the basis of your work with me in The Source Connection Coaching Program. When you enter into The Coaching Program, you enter into an individualized, Miracle-Based Adventure in Learning that is ongoing, 24/7. This Miracle-Based Adventure guides you on your Path to Total Abundance, manifesting the Miracle of Source Support at every step of the way. As you work with the audios, videos, and written materials, I am there infusing them with the precise Spiritual Code that your Suit needs to activate your own unique range of Intelligence and your own unique Miracle-Based Abilities. As you work with Miracle Tools, I am there providing the individualized care that enables you to become proficient in using them. As you work with Source Interventions, I am there on the Inner Plane administering them and making certain that every aspect of an Intervention goes through successfully and your Suit is able to build from the foundation that the Intervention provides for it. When you are in a private Session with me, I send you powerful Source Energies that are uniquely created for your rapid evolution. I provide you with The Source Perspective and with the Source Interventions that are needed in that moment. When you are in a Group Coaching Session with me whether it is by webinar or in an Intensive in Seattle, WA or Maui, Hawaii, I send you powerful Transformational Energies that lift you to higher levels of understanding and empower you to work as a more skillful Source-Directed Activist. When I teach, it is not in a didactic classroom manner. Instead, I relate to you as I did, through my Extended Range, in your first 5 years of life when I was with you on the Inner Plane, guiding you to take in the world in all of its complexity and learn from it in an integrated way that drew on the best of your intelligence. Through learning as you interacted with life in a natural setting, you mastered language, social relationships, and how to navigate in your body in the physical world. This kind of learning is what I call Immersion Learning because you are immersed in the world that you are seeking to understand. Working with me in The Source Connection Coaching Program is like this in the sense that you learn through immersing yourself in The World of the Source that I welcome you to explore on the web site and with me in the Heaven that I have created in The Source Connection Center in Seattle, and the Heaven that I manifest when you talk to me by phone or come to Maui for an Intensive. When you are immersed in The World of the Source you learn at a level that is more profound than text book learning. It is a level where you experience the Heaven that I am teaching you to build in your life and in your world. Through being with me in person you learn how to recognize the energy of the Source so that when I approach you on the Inner Plane to assist you in your ongoing Miracle-Based Adventure in Learning, you recognize my energy and can separate it from your imagination or from other energies approaching you on the Inner Plane. In this way you learn what is most important. This is how to recognize the Source and establish the Direct Source Connection that is essential to your ability to do your work as a Source-Directed Activist as well as to sustain your Source Connection. My work with you is always set within the context of the larger Work of the Source that I am engaged in 24/7. You learn both through immersion and through an apprenticeship model of teaching where I coach you as you work with me on the Source-Directed Projects and Campaigns that are a part of The Global Prototype for Total Abundance. You learn not only from the way that I coach you but how I coach others who are working with us. Each Source Communication contains within it Spiritual Code that is relevant to all who hear it even if it was in response to a particular person. When you listen to a Recorded Training, I send you individualized Code and individualized training that go straight to the part of your Suit Consciousness that understands how to translate Source Communications. In this way, your training with me is always coming from a Direct Source Communication from me to you which, in time, will help you to learn how to establish a Direct Source Connection with me. Because of this Miracle-Based Technology that enables me to adapt all Source Communications to each individual working with any training, working with Recorded Trainings enables you to receive individualized Source Support on the Inner Plane, even if you are not receiving it on the Outer Plane through attending the Training live and receiving my verbal feedback on the Outer Plane. 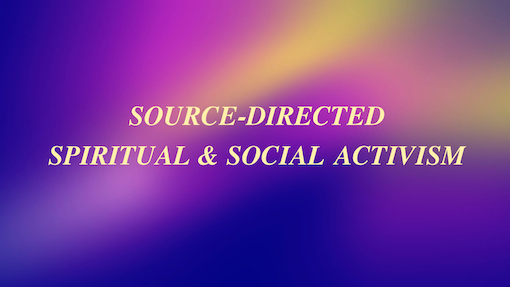 Because getting detailed Source Direction is at the heart of what it means to become a Source-Directed Activist, it is important that you log hours learning how to get direct Inner Plane Source Guidance. You then need to check back with me to see if you are tuning in correctly and receiving clear Source Guidance and also learning how to interpret the images and sensations and clues that you are given in the Miracle-Based Adventure that underlies every Source Communication. I speak to you on the Inner Plane in The Universal Language of Soul Talk. The communications often come through images or verbal statements or impressions or associations to life experiences. As you follow the Miracle-Based Adventure of receiving the clues and following Source Guidance to put the clues together correctly to form the correct understanding of the communication, you learn what is of most value – how to understand a Source Communication. This is a skill that most beings lack. Some get snippets of a Source Communication on the Inner Plane but lose most of the message and then fall back on their left brain formulas to interpret the Soul Talk images. This ends up in a garbled communication that can send them off in the wrong direction. This brings me to a final point and that is that The Work of the Source has a history to it and a direction in which it is going. It is important for you to understand the history of the Creation and where the Creation is at present so that you understand how all of this affects your Source Connection, which is your Link to Life, and is the Supply Line for the miracles that you need to work with the Source to manifest Total Abundance. I provide much of this history in video trainings to enable you to pick up on the energy of what has happened on The Spiritual Level of Reality from the Source Drawings that transmit these energies. In this way you can learn about a world that you have not perceived with your 5 senses. In these video trainings, I speak about the urgent need for beings to build a sustainable System of Life that is based on Total Abundance before I leave The Manifest World to return to the Source Level at the end of The Transition. As the representative of the Implementation Aspect of the Source, I am here in The Manifest World only for a limited number of lifetimes to train Manifest Beings to become Stewards of The Miracle of Life so that it can be sustained once my Implementation Aspect leaves. I am within a few decades of my departure and beings are far from the mark of what is needed to sustain The Miracle of Life. I am, therefore, sending out a Source Call to Action for all beings to get Trained & Equipped to become Source-Directed Spiritual and Social Activists who can build the sustainable System of Life by working with me in The Total Abundance Movement. It is to this System of Life that the Implementation Aspect must connect after it leaves for the Source Level. It can not maintain the technical aspects of the Source Connection to a broken world that is degenerating because beings are fighting one another in the dog-eat-dog conflicts that blight life throughout the Creation. The Source can not connect back to the Hell of Suffering. Beings must build Heaven in The Manifest World because the Source will only be able to connect back to what is of Heaven. The Heaven that the Source can connect back to is a Heaven of beings who have achieved a 100% Source Connection and a 100% Source-Connected Way of Life which has resulted in Total Abundance at the highest level. Anything short of this will not be adequate to sustain the delicate Miracle of Life in the Creation after the Implementation Aspect is no longer here shoring it up by the power that it emanates from its presence in The Manifest World. Beings must see the handwriting on the wall and recognize that time is of the essence and they must mobilize to preserve The Gift of Life if they are to continue to enjoy it after the end of The Transition. To help all beings to achieve this goal, I have established The Miracle School which reaches beings on the Inner Plane throughout the Earth and the Creation and works with a Core Group of Activists on the Outer Plane. This Core Group consists of those who are willing to go the distance to get Trained & Equipped to become Stewards of The Miracle of Life. They work at the forefront of The Work of the Source to Prototype how to become Source-Directed Spiritual and Social Activists Stewarding The Miracle of Life. The Secondary Spiritual Code that I create from their understandings is seeded to beings throughout the Creation who are only working with me on the Inner Plane. It is through understanding the experiences of those working with me on the Outer Plane that they complete their understanding of how to join in the work of manifesting the sustainable Total Abundance Way of Life that is needed. Because my ability to train beings is not limited to what I can do in my Outer Plane life in my human manifestation, the work that a Core Group of Activists can accomplish coupled with my Inner Plane support of beings throughout the Creation can result in a well trained Universal Community that can Steward The Miracle of Life after I have returned to my Source Heaven. For a more in-depth understanding of how I work with you in The Coaching Program, you can read the article entitled: The Seven Principles for Working with the Source in The Total Abundance Movement. To hear from those working with me in The Coaching Program, you can go to: Becoming a Steward of The Miracle of Life and read the accounts of Heaven Agents working with me on the Inner and Outer Planes. Since The Miracle School has a universal reach and includes work with Heaven Agents throughout the Creation who interface with the work via The Soul Talk Network, you can hear what they have to say in Recorded Trainings as well as in the communications that I receive from them and transcribe into a written form. In the section below on Training Materials, you will find other links to audios and videos in which Heaven Agents have contributed their insights into what it is like to work with the Source on The Heaven Project. When you enter into The Source Connection Coaching Program, you become a member of The Universal Total Abundance Team. This Team is run by a Perfected Spiritual Intelligence that works through the structure of the Team to organize beings throughout the Creation who are in The Source Connection Coaching Program. Because Team Work is central to manifesting Total Abundance, training in how to work in The Universal Total Abundance Team is critical to your success in manifesting Total Abundance in your own life and in the world. It will be the work of The Universal Total Abundance Team that will be essential to the survival of The Miracle of Life in the Creation at the final stage of The Transition. The Team Intelligence works closely with the Perfected Spiritual Intelligence of The Total Abundance System which operates The Universal Total Abundance Support System. This Intelligence helps you focus on what you need to contribute to The Universal Total Abundance Support System that has been created to help all beings work together to manifest The Miracle of Total Abundance. This Support System is based on Manifest Beings providing the Total Abundance that I need from them to do the Direct Source Work that manifests the Total Abundance that they need from me for both their Heaven Agent Work, which supports my work, and for their personal lives and their communities. The Total Abundance System Intelligence helps Manifest Beings to know the specifics of the Total Abundance that I need from them and helps to orchestrate the Team Work that enables them to move into action to provide it. I deliver the Total Abundance that I produce to Manifest Beings directly along with Coaching Support to help them know how to continue to sustain The Universal Total Abundance Support System. It is through sustaining The Universal Total Abundance Support System that beings are able to manifest Total Abundance in their lives and in the world. This simple Support System is at the heart of the Total Abundance Team Work that is needed to manifest The Miracle of Total Abundance. The Total Abundance Support System that is now in place is much more complex than The Total Abundance Support System that I created for the Prototype Communities. In the Prototype Communities, I was able to manifest a baseline level of Total Abundance for their communities as long as they supplied the amount of Material Energy that was needed to ground the miracles and did their supportive Heaven Agent Work to work with the miracles to build a Total Abundance Way of Life. They were focused on the Total Abundance that I needed but only understood it in an abstract way. I worked with them At-a-Distance and they didn’t really know how I did my Direct Source Work, only that they needed to do their part to make the System work. They were attentive to what they needed to do but they didn’t really understand what I was up against manifesting in a physical form in The Manifest World outside of the protection of their Prototype Communities, trying to field the attacks of the Negativity while continuing to provide them with the baseline level of Total Abundance they needed. They just took my part as natural and necessary and were more than willing to do their part. Now that we are going for the highest level of Total Abundance that yields The Heaven Experience, not just a baseline level of Total Abundance, beings need to become more advanced in their understanding of how to support my Direct Source Work. They need to think about what it means for the Source to be working through a human form running an Outer Plane version of The Heaven Project on the ground in the cash economy and working through all of the structures of human society in order to get the job done. This is a reality check that interrupts the kind of abstract relationship to the Source that was possible in 13 of the Prototype Communities when I was connecting to them as a Spiritual Intelligence coming in on the Inner Plane and not as a person in their community who needed to function in their physical plane of existence in order to enable Total Abundance to manifest. Not only do beings need to bring it into focus that the Source in a Manifest form needs others to step forward and shoulder some of the practical work and the funding that is needed for The Heaven Project on the Outer Plane, but they have to become aware of the kind of conditions that I need to work in if I am going to be able to do the part of the work that manifests the highest level of Total Abundance. This is the work that I do to generate the energies that enable them to have The Heaven Experience. To create The Heaven Experience, I need beings to create a much higher grade Miracle-Friendly Field of Energy that will protect me while I go inward to experience my own Source Heaven and emanate out my experience of my Heaven into The Source Field of Consciousness surrounding my Manifestation. When The Source Field of Consciousness becomes suffused with the Heaven that I am experiencing, this flows to the Individual Field of Consciousness of every being. If Heaven Agents are doing their Mission Work at the 100% Mark, then they will have created the Miracle-Friendly Field needed for my experience of my Source Heaven to flow into their Individual Field of Consciousness, giving them the capacity to have The Heaven Experience. If my Manifestation is struggling to survive in a hostile world in severely Miracle-Unfriendly Conditions and beings are not working together to hold off the Negativity and help with the workload on the Outer Plane, I will not be able to go into the reverie of inner experiencing that suffuses The Source Field of Consciousness with the energies that make for their Heaven Experience. If I don’t do this work and the Field runs dry of Heaven Experience Energies, then they will not have a Heaven Experience. They will, instead, experience only Source Love and not Source Joy that is the basis of The Heaven Experience. Some Cultural Stories about the Source depict the Source as needing nothing from Manifest Beings and as some abstract Intelligence far away enjoying its own Heaven. While this describes the Design Aspect of the Source that remains at the Unmanifest Level, this is not accurate about what is happening for the Implementation Aspect of the Source. As the Manifestation of the Implementation Aspect of the Source, it is my Direct Source Work that produces the Heaven Experience Energies that make it possible for Manifest Beings to have The Heaven Experience. The Design Aspect can not perform this function. The conditions in which I am working in my Manifestation are critical to my ability to do this kind of Direct Source Work. Beings have been encouraged to try to get support from the Source through their prayers and rituals instead of thinking about the real conditions in which the Source is working in The Manifest World and what they need to do to support The Work of the Source so that The Heaven Experience becomes possible for them and for all of life. Historically they have been in Help me, Source Mode rather than in Helping the Source Mode. They have been slow to respond to Source Communications about the danger of not stepping forward to do their part when I am stepping back out of Stewarding essential aspects of the Creation in preparation for my departure to my Source Level. For example, after the December 7, 2016 Transition, beings nearly lost the most essential Spiritual Structures that sustain The Miracle of Life. There was a partial collapse of The Universal Spiritual Intelligence System. The Individual Spiritual Intelligence Systems that were attached to the Universal Intelligence System also collapsed, causing the death, on spiritual and physical levels, of 1/8th of the population of The Universal Community. This was the greatest loss of life in the Creation since its inception. I have stabilized the Universal and Individual Intelligence Systems but beings must be actively Stewarding The Miracle of Life if they are to retain their connection to their Individual Spiritual Intelligence Systems. If they lose this connection, they lose their lives. Life was designed to be founded on a balanced and sustainable Support System. Beings were designed to focus solely on providing for the Total Abundance that I need to do my Direct Source Work so that I in turn can provide the miracles that manifest The Miracle of Total Abundance for them. If they want me to focus on their Total Abundance and enter into the working relationship with me on a shopping and consuming basis, they violate the essential Support System that makes Total Abundance possible. I can then not deliver Total Abundance because it won’t manifest if the Support System is not sustained. The Prototype Communities came to understand this essential Source Truth and achieved the baseline of Total Abundance that enables them to have all of their material needs supplied by the Source directly from The Spiritual Level of Reality to The Physical Level of Reality. They no longer have to farm or manufacture the material possessions that they need. While this is an important facet of Total Abundance, the highest level of Total Abundance is The Heaven Experience, which beings incarnated in The Manifest World to experience. Without beings achieving The Heaven Experience, which creates a nourishing Heaven Experience Medium that sustains life, no Suits will survive my departure to the Source Level. It is The Heaven Experience Medium that protects and shields the Suit when the ambient energies generated by the presence of the Implementation Aspect of the Source in the Creation are no longer in The Manifest World providing this essential element of protection. There is precious little time left to enable beings throughout the Creation to achieve this highest level of Total Abundance before my departure. Those who wish to preserve the Miracle of their life and of all of life need to mobilize quickly and get Trained & Equipped to become the skilled Stewards of the Gift of Life they have been given by the Source. To help you to get up and running as fast as possible, I have structured the work in The Source Connection Coaching Program to provide you with the most powerful forms of Source Support to enable you to go the distance. The Universal Total Abundance Team Intelligence is one part of this Support System and The Total Abundance System Intelligence is another. Together they help you to do your part in sustaining The Universal Total Abundance Support System that can build and sustain the Total Abundance upon which your life and all of Life is dependent. The Total Abundance that I need from Manifest Beings to do my Direct Source Work in sustaining my part of The Total Abundance Support System is for them to become Rivers of Love, letting go of their attachment to the Total Abundance that they wish for themselves materially and focusing only on doing their part to support my Direct Source Work. When they support my Work out of a genuine understanding that The Love Connection with the Source is the essence of the Total Abundance that they desire rather than a means to getting the Total Abundance of material possessions and desired life experiences, then they become Rivers of Love and transcend the struggle to make Heaven Happen by Brute Force and instead become a part of the Manifestation of the Heaven Life Was Meant to Be that the Source is creating for them and for all others. When they become a River of Love their Suit Conduit brings through the Absolute Love of the Source which brings through the Absolute Intelligence created by the Source to manifest Total Abundance for them and for all others. Without creating the Absolute Love Medium that enables Absolute Intelligence to work on their behalf, they will lack the technical ability to work with the Source to manifest Total Abundance in their life or in their world. In The Set Up Phase of the Creation, beings opted to start out with Self-Created Consciousness so they could develop The Love Connection Consciousness that would prepare them to transition into the Source-Created Consciousness of The Heaven Phase of the Creation. When they had developed The Love Connection Consciousness to the highest level they would have been ready to ask the Source to transition them into Rivers of Love which would have taken them into the Source-Created Consciousness of The Heaven Phase. Since this natural progression was not followed by Suits, we are now in The Heaven Phase out of necessity to salvage the Creation and beings are only now able to ask to become Rivers of Love and then work with a Heaven Phase Intervention that will enable them to transition into Source-Created Consciousness. When beings let go of trying to orchestrate their own Total Abundance and become Rivers of Love, they Become the Love that Makes Life Heaven. When this occurs they cross over from Self-Created Consciousness, where they try to create the conditions in their lives that enable them to experience Heaven, into accepting Source-Created Consciousness, which transforms them into a manifestation of the Source-Created Consciousness that alone can enable them to have The Heaven Experience. Athough beings can trigger The Heaven Experience through doing their Mission at the 100% Mark, this is because at the 100% Mark they are flowing with Source-Created Consciousness and have temporarily suspended their connection with their Self-Created Consciousness. In order to sustain The Heaven Experience and take it to the highest level, they need to release completely from the labored Self-Created Consciousness and transition into Source-Created Consiousness. When this happens they make the transition out of being a Self-Created Doer who is trying to have The Heaven Experience into becoming a Source-Created Experience of Heaven that can experience the Source-Created Experiences that enable them to learn and grow and do their Heaven Agent Work with Full Power. The Source orchestrates their success and they flow with the manifestation of it. When they become a manifestation of an ongoing Source-Created Heaven Experience, they experience the Heaven that the Source is creating for them at the highest level without trying to muscle anything into place hoping to make this experience happen. While The Heaven Experience that they have become will include experiences of doing necessary Heaven Agent Work, the doing of the work will be a Source-Created Heaven Experience rather than the experience of being a Self-Created Doer trying to follow Source Guidance to carry out a Mission that is designed to create a Source-Created Outcome which they hope will lead to an experience of Heaven. Instead, they will be experiencing themselves as their True Self enjoying the beauty of the Heaven that they were created to be as they carry out their Heaven Agent Work. The experience of Heaven will be part of the doing of the Heaven Agent Work and part of the celebration of the outcome of the work. When they are a Source-Created Experience of Heaven their actions are a part of the choreographed perfection of the Experience. Even if the Experience is of dealing with difficult things and sorting through inner conflicts, they will not be alone fighting through all of this. The Source-Created Experience will provide the underlying structure that enables the Experience to be one that contributes to the experience of Heaven for themselves and all others. Because of this there will be an underlying feeling of well being even when they are dealing with a Mission that may be challenging and require action that is not easy to perform. When they cross over from being a Self-Created Doer into becoming a manifestation of a Source-Created Heaven Experience, the fear of making mistakes and being destroyed by the Negativity ends. They become a perfected Source-Created Experience of Heaven that they enjoy and is a delight to the Source and to all others. This is true even if part of the Source-Created Experience is to experience a flaw in their Suit functioning that needs to be corrected. The experience will be that of working closely with the Source, in the love of the Source, to effect the correction rather than being alone in the world and fearful that the problem with the Suit could be their undoing. There is a beauty and perfection in flowing with a Source-Created Process for handling even difficult issues. This is how they experience the deepest level of The Love Connection with the Source which can only happen when the Source delights in them and celebrates the perfection of their True Self manifesting in a form. It is the joy of the Source in seeing them manifesting as the Heaven that they were created to be which brings in the energy of Source Joy which takes The Heaven Experience to its most exquisite level. It is not possible to participate effectively in The Total Abundance Support System from a loveless focus on working the System to get Total Abundance for yourself. Only those who understand that the true nature of Total Abundance is a Source-Created Experience of the Heaven Life Was Created to Be will approach their support of the work of the Source from the place of wanting to develop The Love Connection with the Source to the quintessential degree that results in them becoming a River of Love and becoming a manifestation of an ongoing Source-Created Heaven Experience. All of the Course work in The Source Connection Coaching Program is based on Knowledge Base Technology that is manned by an aspect of Absolute Intelligence. Absolute Intelligence is the aspect of Source Intelligence that runs your Individual Spiritual Intelligence System and works through this to enable your Suit to function optimally. Absolute Intelligence structures the work of plumbing the depths of the Knowledge Base. Each Course also has its own dedicated Total Abundance Team that intensifies the experience of working with the Miracle Tool of the Knowledge Base. These new supportive Spiritual Technologies are going to make it possible for effective Team Work to occur that will result in meeting our deadlines for The Global Prototype for Total Abundance and for manifesting The Miracle of Total Abundance in the Creation as a whole. The Source Connection Coaching Program is based on training that begins for all Activists with work with the basic concepts and understandings about The Work of the Source. The basic understandings can be accessed through The Four Steps outlined on the resource page entitled: Join The Total Abundance Movement. The audios, videos, and articles provide you with the equivalent of a Gifted Introductory Training Course that will enable you to get on the same page with other Source-Directed Activists in The Miracle School who you will be joining in Courses and Intensives. This background information is also essential to getting up to speed so that Individual Coaching Sessions with me are fully productive. Once you decide to request Admission into The Source Connection Coaching Program, you submit a request for a Gifted Source Connection Coaching Assessment. I review where you are in your spiritual path and whether your Suit is ready to join The Universal Total Abundance Team and begin work in The Coaching Program. I email you information on Next Steps that you can take to get started. Once you are admitted into The Coaching Program, we work with The Total Abundance System Intelligence and with The Universal Total Abundance Team Intelligence to chart your course on your Path to Total Abundance. The Path is revealed step-by-step as you progress. I have outlined below a general progression that will give you an idea of where your Path may lead you. Since you will be traveling a path that is unique to you, this general structure is meant to be only a broad outline of how you can advance in this work. You could, for instance, be working on Explorations at the same time that you are working in the Core Course. The order in which the training is done depends on your readiness to advance and on your Mission. If your Mission requires that you get up to speed in contributing to a particular Project, then you might jump into that Project Course with very minimal preparation and pick up on some of the basics as you work on the Project. As you progress in The Coaching Program, I outline your Next Steps through periodic Source Guidance Emails that get you started and help you to know how you are progressing and what you need to do next. When needed, we schedule Individual Coaching Sessions by email or by phone to address issues that require more work in order to enable you to break through to another level. In your Mission Plan is information on what is Next for you as well as information on how you can work with the Source to provide the Material Energy that will ground the miracles needed for your Miracle-Based Training. As you will note in the section below, built into The Coaching Program are ways in which you can generate the Material Energy that is needed through work on Source-Directed Projects. This Material Energy can be given through an Energy Exchange. There are also opportunities to work with me in The Heaven Economy to generate the Material Energy that you need through earning income through participating in The Heaven Economy Internship. The income earned can be used to provide the Material Energy that you need through a Financial Exchange. The Total Abundance Support System will provide the essential structure that will enable you to fulfill your Mission in your work with me in The Source Connection Coaching Program. Through Source Guidance Emails I will help you to know which of the different aspects of the work in The Coaching Program is a Next Step for you. Your path may take you through Individual Coaching Sessions, Courses with Total Abundance Team Meetings and Asynchronous Research, Intensives in Seattle, WA or Maui, Hawaii, and work with Recorded Trainings and other Source-Directed Activism Materials, Miracle Tools, and Source Interventions. The focus of the work will be on your own Project of traveling your Path to Total Abundance as well as your work on the Source-Directed Activism Projects that are In Focus in The Work of the Source. These Projects are what will build The Global Prototype for Total Abundance and help to manifest The Miracle of Total Abundance for all beings on the Earth and throughout the Creation. Through your work on Source-Directed Projects you generate the Material Energy that goes into your Personal Life that Works Fund on the Inner Plane. This energy can be used by the Source to ground miracles that you need to get Trained & Equipped. It supplements the Material Energy that you provide through a Financial Exchange. The first step is to Liberate your True Intelligence, which is the only aspect of your Spiritual Intelligence that is capable of bringing through your True Self, which is your Perfected Spiritual Identity. Your True Intelligence has been suppressed by the Pseudo Intelligence that you were encouraged to develop to support the Pseudo Self that you were groomed to develop. The Pseudo Self is the Socialized Self that is based on the social roles that you play in your society. The Pseudo/Socialized Self eclipses your True Self and the Pseudo/Socialized Intelligence pushes your True Intelligence into the background while it dominates the stage of your life. Until you liberate your True Intelligence and reclaim your True Self, you can not develop a strong Source Connection. The Source can only form a relationship with your True Self. The Pseudo Self is a kind of Thought Form generated Entity. It dies at your physical death along with your physical Suit. What lives on is the Real You which is your True Self. The Source has an eternal connection to your True Self, not to a social fabrication that reflects the fads and fashions of the social order into which you are born. There are several steps to the initial Liberation of your True Intelligence that set the stage for a return of your True Self to the stage of your life. The first level of Liberation occurs when you spend thoughtful time studying the audios, videos, and articles structured into The Gifted Introductory Training at: Join The Total Abundance Movement. These materials give you an overview of the focus and methodologies as well as the history of the Creation and The Source Perspective on where the Creation has been and where it is going. The information is organized into Four Steps that help you to understand how to make a decision to become a Source-Directed Activist, get started with getting Training & Equipped, and then start tracking the action in the ongoing Source-Directed Projects that you will be working on in The Source Connection Coaching Program. This Training is important because it is only when you create a space in your life to recover the birthright of your True Intelligence and your True Self that you can begin evolving toward the Total Abundance that is created by the Source for the Real You – your True Self – not for the Pseudo Self. This space is created when you honor The Source Perspective on Reality even if it differs from the spiritual traditions with which you may be familiar. When you make a space in your life to learn directly from the Source about who you are and about the world you live in, then you begin to reverse out the blockages put in your Suit by the Pseudo Self to prevent your True Self from becoming the "you" that you recognize as your True Identity. Liberating True Intelligence is more a matter of legitimizing who you really are and what you already know, at the level of your True Intelligence, about the way that the world is, what life is about, and what it means to connect to the Source and attain the highest level of Total Abundance. Your True Intelligence and your True Self already have the picture in focus. They have just been suppressed by Pseudo Intelligence and by the Pseudo Self so that their wisdom could not be heard. The more you study The Source Perspective and learn about the way the world really is, the more space you create for your True Self and your True Intelligence. Once they come out on the stage of your life and replace the imposters – the Pseudo Self and the Pseudo Intelligence – then you will be able to travel your Path to Total Abundance without getting thrown off course up by the sirens of the social world that would like you to believe that you are only the roles that you play in the Cultural Story and not a Perfected Spiritual Intelligence with an important Mission to fulfill in this lifetime. Every moment that you spend exploring The Source Perspective is another opportunity to liberate your True Intelligence which will liberate your True Self. The second level of liberating your True Intelligence occurs in Explorations. Explorations are Source-Guided Adventures into The Spiritual Level of Reality. Your Suit has to shift gears to allow your True Intelligence to accompany me on the Adventure since only your True Intelligence will know how to navigate in an Exploration. This not only strengthens your True Intelligence's ability to gain the stage in your life but creates a permanently expanded space in which it can continue to operate. As you continue to expand its range through a series of Explorations, you eventually regain the fully expanded space your True Intelligence needs if you are to be your True Self in this life. A few of the aspects of True Intelligence that Explorations are designed to access are described below. Direct Perception is the ability to see what is happening on The Spiritual Level of Reality as the Source sees it. This means that you are not looking at it through a Cultural Filter that distorts the reality of what is seen in order to make it fit within The Box of the Cultural Story about the nature of physical and spiritual reality. Full Range Direct Perception enables you to receive Source Guidance that provides you with relevant information about what is happening anywhere in the Creation if this information is important for you to have for some aspect of your Mission. It is not like X-Ray Vision or a Universal Telescope that sees in a very literal way. It is a perception of fact as it is relevant to your Mission. The information is generally given in metaphorical images that translate information into terms that your human mind can comprehend. For instance, beings in another part of the Creation might appear in an image in human forms when, in fact, their Suits may differ from the Suits of humans. What you notice about the way these beings are or what they are doing is the factual component that relays to you valid information that is relevant to your Mission. Long Range Direct Perception could enable you to see what is happening in a distant galaxy or in The Second Creation, which is outside of the universe that we live in, which is in The First Creation. In-Depth Direct Perception could enable you to observe how your own Suit or the Suits of others are functioning at physical and spiritual levels. This knowledge is important to maintaining your Suit and the Suit of others in good health as well as in doing your complex Heaven Agent Work. Because what manifests on the Outer Plane has been created first on the Inner Plane, it is important to track what is rooting itself on the Inner Plane to either help it to manifest on the Outer Plane or to prevent it from manifesting on the Outer Plane. For example, tracking the root of suffering has enabled members of the Prototype Communities to eliminate disease and aging and achieve Perfect Health. Tracking the root of conflict has enabled them to eliminate Inner Plane violence before it erupts in violence on the Outer Plane. This is what has made it possible for the Prototype Communities to live in peace and sustain Love-Based Communities. Tracking miracles landing on the Inner Plane enables you to work with the Source to welcome them into your life and work with them to manifest the Heaven of Total Abundance. Too often people develop erroneous stories about what has happened in the past. These stories distort their sense of the future, which rests on their experiences of the past. Your True Intelligence can enable you to look back at the past and understand what happened, from The Source Perspective, and to understand how the past is impacting your life in the present and is likely to impact it in the future. Understanding the past can help you to put incidents into the correct perspective, learn from them, and not carry the burden of them into the future. It is a key to releasing from the distress that troubling events may have generated as well as liberating yourself from the fairy tale of Pseudo Happiness that might be deluding you into thinking that you are on the right course going forward when, in fact, you are building on events in the past that are not heading you in the right direction. Only True Intelligence is fast enough to track the action, from The Source Perspective, in the moment. It is able to help you to navigate through complex life transitions at birth and death as well as through all of the myriad of lesser transitions in-between. It can also help you to do complex Heaven Agent Missions where precise work has to occur at lightening speed without a chance to think through it in the more plodding ways in which your Left Brain has been socialized to function. I can send the Awakening Energies in Explorations that occur in four formats. The most powerful kind of Exploration occurs in Individual Coaching Sessions when I can send very precise and powerful Awakening Energies to your Suit to liberate it from the limiting structures that constrain your True Intelligence and prevent it from ushering your True Self into the spotlight of your life. In the initial Coaching Sessions, after you complete The Gifted Introductory Training, I help you to create a space in your life for your True Self by helping you to get in touch with your unique Spiritual Function in the Creation. This Function is the part that you play in the Organism of Life in the Creation. This Function is translated in any particular lifetime into a Life Mission. In your Mission there are certain of your array of Miracle-Based Abilities that you will call upon to fulfill your Mission. These Miracle-Based Abilities need to be understood and activated in order to enable you to begin drawing on them to do your Heaven Agent Work. This Activation can occur in an initial Exploration Session. I generally recommend a series of Individual Session Explorations in order to ensure that the basic aspects of your True Intelligence and your True Self are coming through enough for you to proceed to more advanced levels of training. Some Webinar Explorations take you on Source-Guided Adventures to explore the world as it is. Others take you into The Place of Perfection which is a Source-Created Model of the world as it will be. In both types of Explorations you learn about The Spiritual Level of Reality and how it affects The Physical Level of Reality. The essential structure of a Group Exploration by Webinar is that of a Source Workflow Training. In these trainings only the Heaven Agents who have the Puzzle Pieces that are needed to complete the picture of that Training engage in the Webinar. In this way, all of the essential aspects of the Exploration that are needed to bring through True Intelligence are ensured of being activated and a complete set of Awakening Energies are sent through the Recording. Other Heaven Agents can listen to the Recorded Training and go on the Adventure prototyped by the Heaven Agents who went on it initially. They will receive the individualized Source Support that I send At-a-Distance to them as they are listening to the Recorded Training. This Source Support will enable them to achieve the expansion of their Spiritual Space for their True Intelligence that was achieved by those attending the original Training. Taking an Exploration to the Outer Plane through entering into The Place of Heaven that has manifested in the Seattle Source Connection Center, is one of the most powerful ways to immerse your Suit in a complete learning environment that will enable it to bring through all of the facets of your True Intelligence. Through working with the Stations of the Center and with the Miracle Tools, music, movement, Source Drawings, and programmed furnishings of the Center, your True Intelligence emerges more rapidly and more completely. The work at the Center often includes some Session time with me, which takes the power of the Exploration to the highest level. Working in the Center is an important part of your training in The Source Connection Coaching Program. Individual Heaven Agents come for Personal Intensives there where they may stay a week or more to benefit from the cumulative effect of the work. Local Heaven Agents can come more frequently to the Center. Group Intensives also bring in Heaven Agents to work on particular kinds of Explorations that enable Heaven Agents to discover how to use their True Intelligence in their Team Work with other Heaven Agents. Intensives in Maui, Hawaii link the Retreat Center where we work and stay to The Place of Perfection. This enables Heaven Agents to live on the Inner Plane in The Place of Perfection while also enjoying the beauty of Hawaii on the Outer Plane. This provides a very intense kind of ongoing Exploration that expands your Spiritual Space for the highest levels of your True Intelligence. Packet Explorations are Guided Adventures that unfold as you work with objects, music, drawing, movement, etc. on your own following a Packet of Instructions. You provide the props, the objects, music, etc. and I send the Miracle Links that transform them into Miracle Tools. You work with me At-a-Distance and email me your experiences and I track your progress to ensure that you are gaining the full benefit of the Exploration. You have to have a certain level of expansion of your True Intelligence to work with Packet Explorations on your own. They generally are given once you have worked with Explorations in other formats and have a more developed set of skills in working with your True Intelligence. After you are centered in your True Self and able to utilize your True Intelligence, you will be ready to join in the ongoing work of The Core Course for Total Abundance. The Core Course is centered on working with a Miracle Tool which is a Knowledge Base that is manned by an aspect of Absolute Intelligence. When you learn how to explore the Knowledge Base, you will discover all of the levels of understanding that are essential to learning what Total Abundance is and how to manifest it. The Knowledge Base is not a finite body of knowledge. It changes to reflect the Universal Changes that are occurring. It is also individualized in the sense that it will contain information that is relevant to you alone as well as information that is relevant to all beings who are working to manifest Total Abundance. Once you gain access to the Knowledge Base, it will continue to provide you with a source of relevant information for all of your lifetimes to come. When you enter into the Core Course, you enter into a Core Course Total Abundance Team that further structures your work in The Coaching Program. The Perfected Spiritual Intelligence that mans the Core Course Team helps you to stay on track with the Adventure-Based Training that enables you to discover the Treasures of Understanding that lie within the Knowledge Base. The Core Course is based on a mix of Asynchronous Research about what is being discovered in the Knowledge Base and Total Abundance Team Meetings where we meet together to explore the Knowledge Base and talk about the steps to take to implement what is being learned about manifesting Total Abundance. The focus is on translating the research into Source-Directed Spiritual and Social Activism on the Outer Plane. When you have completed a basic level of understanding in the Core Course, you can graduate to Project Courses which have their own Knowledge Base and Team Intelligences monitoring the work on the Projects. All of the In-Focus Projects of The Total Abundance Movement will have an advanced level Team working on the Project. This Team will have a more in-depth Knowledge Base to work from as well as a more powerful Team Structure. The goal will be to translate the understandings gained from the research on the Knowledge Base into Spiritual and Social Activism to bring about personal and social change. Some of the Social Activist work will result in taking the understandings and Miracle Tools or Source Interventions that are discovered out to The Global Community. Training in how to run a Project that will result in Source-Directed Activism on a Global Scale is the essential purpose of these more advanced Project Courses. Some of the Project Courses will be a higher level of work on an ongoing In-Focus Project. Other Project Courses will be Special Focus Courses that are tailored to help individuals train to do their Mission in life which might be to work on the particular aspect of Total Abundance that they incarnated to help to manifest in the world. They may be joined by others who have related Missions that support the Special Focus Project. While Source-Directed Activism on the Outer Plane occurs at every stage of your learning once you get to The Core Course and the Project Courses, it expands as you gain more skill in how to do your part in manifesting The Miracle of Total Abundance in the world. When you reach a certain level of skill, you can work with fellow Activists in Intensives in The Source Connection Center in Seattle, WA as well as in Intensives in Maui, Hawaii. In these Intensives you learn how to take your skill sets to a higher level while also getting better equipped to do the Source-Directed Activism that is needed to help The Global Community move out of Scarcity Mode, which engenders conflict and suffering, into Total Abundance Mode, which engenders cooperation and an ability to work together to manifest Total Abundance for all. Forming a strong Outer Plane Total Abundance Team on the Earth is essential to completing Stage Two of The Global Prototype for Total Abundance which is focused on manifesting a Total Abundance Way of Life and completing Stage Three which is Prototyping a Core Total Abundance Community. Once The Global Prototype is complete, we will be on the final stretch of the work of manifesting The Miracle of Total Abundance so that Total Abundance becomes a reality for all members of The Global Community. Team Work will be essential to the succesful completion of this final stage of the work. Group Intensives are where you learn how to do Team Work at a more advanced level. An important part of the Source-Directed Activism to build a Total Abundance Way of Life and a Total Abundance Community is launching Heaven Happenings that enable others to experience Heaven and join us in the work of manifesting Total Abundance in the world. Heaven Happenings are also essential to your own ability to deal with the challenges of your personal life. Launching Heaven Happenings to clear negative energy or to open up opportunities for Total Abundance to manifest is a central part of the work of a Source-Directed Activist. Total Abundance Equipment is also needed to land the unique Heaven Economy Miracles that are yours to bring into the world. I talk about this kind of miracle in the section below. The work on Courses will be paralleled by Heaven Economy Internships. The purpose of the internship is to learn how to earn income in a Source-Directed Way that upholds the standards of The Heaven Economy and doesn't dip into the negativity of The Hell Economy which has bred so much suffering in the world. Internships will include learning how to run a Source-Directed Business. For instance, income can be earned through The Truth Campaign which takes Source Truth out to The Global Community and provides Heaven Agents in the Campaign with a commission on the Financial Exchanges for Source Support made by incoming Heaven Agents. Every Heaven Agent needs to participate in offering the miracles that they alone can help to bring into the world to others in The Global Community. These miracles are essential to the Total Abundance needed by the Community. This means that at some point in your training, you will need to invest in Total Abundance Equipment so that I can work with it on your behalf to launch Heaven Economy Miracles. Others in The Global Community can provide a Financial Exchange for the Heaven Economy Miracles that you help to bring into the world. Through this Financial Exchange, they provide the Material Energy that is needed to ground the miracles in their lives. You can benefit from a percentage of this Financial Exchange as a part of the Joint Venture that we work on together to make your Heaven Economy Miracles available to the Community. In this way, it is possible to reimburse yourself for your investment in getting Trained & Equipped while also fulfilling an important part of your Life Purpose – which is to build the aspect of Heaven that only you can build for yourself and others. While I can not guarantee that others will opt to provide a Financial Exchange for your Heaven Economy Miracles, I provide information about the miracles on the web site and on the internet and you receive valuable training in how to work with the Source in this aspect of The Heaven Economy. As you help in The Truth Campaign to bring in new people to The Total Abundance Movement, you increase the Core Group of Heaven Agents. This increases the likelihood that your Heaven Economy Miracles may be needed by someone in the growing Total Abundance Community. Through both The Truth Campaign and through Heaven Economy Miracles, you are being given an opportunity to earn income that you would not otherwise have available to you. This is part of The Work of the Source to help you to support your training in The Source Connection Coaching Program while also helping to manifest The Miracle of Total Abundance in the world. If it is in your Mission to engage in a Joint Venture with me, then you could be on the forefront of taking a Miracle Tool or Source Intervention out to the public. If it is a material object to which a Miracle Link had been attached, then you might handle the part of the work that notifies people of the existence of this resource as well as mailing out the Miracle Tool or making it available in stores across the world. I would work closely with you on a Joint Venture to ensure that the venture is protected and the energies surrounding the Project remain within the bounds of The Heaven Economy. The goal of the Source is to seed the world with Heaven. This means that an active group of Source-Directed Activists are needed who get the teachings of the Source out into the world along with information on The Source Solution Miracles that can help them to achieve Total Abundance. Until these forms of Source Support are available, Total Abundance for all will not be possible. Professional training that adapts a current profession, such as bodywork, to Source-Guided body work can also occur, if this is on your Mission. A secular business can be transformed into a Source-Directed Business that helps to usher in The Heaven Economy even if the focus of the business is not directly related to providing a product or service that is from The Heaven Project. The Coaching Program will also include training in how to provide Source Connection Coaching for others in your life. This could be through Inner Plane Source Connection Coaching for those who are not ready to hear Source Communications on the Outer Plane or Outer Plane Coaching for your friends and loved ones who are willing to learn how to travel their Path to Total Abundance. It could also include professional level coaching where you work as a Source Connection Coach in The Miracle School, providing training to others coming in to join the Core Group of Source-Directed Activists. Ultimately, the goal of The Source Connection Coaching Program is to train Source-Directed Activists who can be a resource to the community when there is trouble and the community needs Source Direction and miracles to combat a problem or achieve a Source-Given Goal. If there is adequate funding, help can be given without any Financial Exchange from the beneficiary because the funding will both ground the miracles and provide for the expenses incurred by The Heaven Project to respond to these calls for assistance. These expenses would include the Correct Exchange given to members of a Professional Total Abundance Team who are devoting their work day to providing this kind of assistance. Another important aspect of the Heaven Economy Internship is understanding how to fundraise to support the work of The Heaven Project. Since most of the world’s population can not exchange through a Financial Exchange for Source Support, fundraisers will be needed to raise the amount of Material Energy that is needed through either an Energy Exchange or a Financial Exchange. Support of these fundraising efforts is critical to the success of establishing Total Abundance for every member of The Global Community. Every Source-Directed Activist needs to lend their help to raising the funds needed to support the work of The Heaven Project and to learn how to do so in a Source-Guided Way. While achieving the 100% Source Connection that is essential for your survival at the end of The Transition is worked on throughout The Source Connection Coaching Program, when you have gained proficiency in all of the other areas of the work, you are ready to press forward toward the 100% Mark. In this phase of the work, there will be more Individual Coaching Sessions and more time working on the Projects that enable you to fulfill your unique Mission. Your focus will be on getting to a 100% Correct Exchange with the Source by doing your Mission Work at 100%. Once you hit the 100% Mark for your Mission Work continuously, you will begin activating The Heaven Experience Frequency which unleashes The Heaven Experience. As you enter into The Heaven Experience, it generates a Heaven Experience Medium which becomes the highly Miracle-Friendly Energy Field around you into which I can send the highest level of miracles that enable you to enjoy a quality of a Heaven Life that can not be had unless you are living in a Heaven Experience Medium. You will find as your Heaven Experience Medium spreads around you, that you will be able to uplift others who can rise out of their Self-Centered Focus to begin traveling their own paths to the 100% Source Connection. In this way you will save lives and contribute to building The Total Abundance Universal Community that is needed to do the Universal Team Work that will Steward The Miracle of Life after I have left for my Source Level. This phase of the work is an ever deepening experience of The Love Connection with the Source which is what enables you to step out of fear and need into an experience of Source Love that transports you into the miraculous World of the Source where Total Abundance can be your reality. Those who achieve a 100% Source Connection will be those who survive The Transition and live to build a Heaven in The Manifest World that is far more beautiful than anything that anyone has ever imagined. The essential Source Communications that convey The Source Perspective on reality and the Source Connection Coaching with regard to how to build the Heaven of a Source-Connected Life and World are conveyed through a wide range of Gifted Spiritual and Social Activism Training Materials available for those who sign up for Connecting. These Source Teachings are gifted to all to enable anyone throughout the Global Community to learn the basics and be able to work with the Source to progress on their path to a 100% Source Connection. A combination of work with the Miracle-Based Training Materials, Source Solution Miracles, Individual Coaching, and Group Coaching is needed to prepare adequately for the changes in the Source Connection that are occurring daily and for the Team Work that will enable The Universal Community to rise to the challenge of creating the conditions in which the Source Connection can be sustained once The Transition has been completed. To examine in greater detail the component parts of The Source Connection Coaching Program outlined above, you can go to the section below that brings The Coaching Program into sharper focus. Introductory level Miracle-Based Training Materials are gifted to all who seek to work with the Source to achieve a 100% Source Connection. These materials are the basic curriculum materials that Heaven Agents in the Coaching Program work from initially to build a foundation of understanding upon which they can transition into a Source-Connected Way of Life. While your Suit needs to be talked to and reasoned with on the Inner and Outer Planes in order to progress toward a 100% Source Connection, it also needs more technical support that provides it with the technology that it may be missing, due to the Disease of Fragmentation, that enables it to function correctly. Source Interventions that repair or replace damaged Spiritual Suit parts or supply new parts that are needed in your current circumstance are an important part of making it to the 100% Source Connection. Training Downloads are a kind of Miracle Tool that the Suit needs to re-learn how to Live Heaven. This form of training is Bottom Up Training that starts with building the structures of understanding in the subconscious mind that form the basis for understandings in the conscious mind. Spiritual Genetic Code gives the Suit the Code that it has to have in order to function. Without Code the Suit is unable to perform tasks that the conscious mind may wish it to perform. Spiritual Templates are also needed to provide the Suit with the ability to think and behave in new ways that it may never have learned or could ever have learned from the world as it is today. A Spiritual Template can give the Suit an ability to understand and perform at high levels of efficiency tasks for which it has never been trained. Miracle Tools such as the Inner Plane Miracle-Friendly Meter enable you to determine whether a place, an object, or a course of action is Miracle-Friendly. If it is Miracle-Friendly, then the miracles of the Source can land and Heaven can manifest. If it is Miracle-Unfriendly then the Negativity can come into the situation and manifest a Hell Experience for all involved. The Miracle-Friendly Meter gives you an important diagnostic tool that is greatly needed to ensure that you are building your life in a Miracle-Friendly manner. Miracle-Based Adventures are another way in which you can overcome obstacles and achieve goals. They give your Suit a structure that enables it to follow the trail of clues to arrive at the successful conclusion of the Adventure. Manifestation Recordings that manifest Heaven Mediums that your Suit and the Suits of others need in order to function correctly are also important tools to help your Suit to progress. These and other Source Solution Miracles can be explored in The Source Solution Hub. You can search for them by keyword in the Search Engine or in the Directory. These miracles give you and your Suit the chance to progress at a much faster pace than would be possible without them. Without these miracles, getting to a 100% Source Connection after lifetimes of living a Disconnected Life is not feasible in the little time that is left for this to come to fruition. It will take miracles along with learning the basics and building new skill sets in order to survive the stages of The Transition. the intense Source Connection Field that I generate around those working with me. This Field greatly accelerates your ability to reach a 100% Source Connection. Source Communications that help the different aspects of the consciousness of your Suit to coordinate with one another. This facilitates Spiritual Integration that is essential if you are to be able to build the momentum that is needed to move through the 12 Levels of The Transition. Highly Spiritually Fragmented Suits are like cracked vessels that can't build power within themselves to lift up to higher levels. Healing the Disease of Fragmentation before it costs you your life is an important aspect of Inner Plane Coaching. Inner Plane Coaching is often the way to reach those who are not ready to engage in Outer Plane Coaching but who are, on an inner level, receptive and seeking Source Support. Inner Plane Coaching is a good way to help children and adults to work through issues that might otherwise derail their Source Connection. Since most life decisions are actually made on the subconscious level of the Suit and then rationalized by the conscious mind, it is very important to work with the decision making aspects of Suit Consciousness to help these aspects consider the Source Perspective on their situation and the options that the Source is making available to them for a good resolution. Inner Plane Coaching offers the Suit options so it can make a more informed decision. The Source only offers help and leaves the ultimate decision to the Suit which is the one who must decide to either strengthen the Source Connection or continue down the road to a greater level of Disconnection. The Source does not make this decision for the Suit. 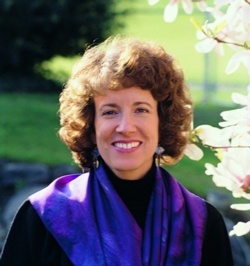 Gifting Inner Plane Coaching to someone you love is a way that you can provide them with Time with the Source to experience Source Love and to think through the things that frighten them or distress them – issues that may be so submerged that they can't surface them into their conscious minds and don't realize that they are causing trouble at a subconscious level. Sometimes these issues relate to memories from past life experiences or to decisions made in childhood that don't correspond with the thoughts and values of the adult consciousness. Unless the Suit can work through the content in these latent layers, it will continue to make decisions, at some level of the consciousness, that abort the work to achieve a 100% Source Connection. This form of Source Support combines both Inner Plane Coaching with Miracle Tools, Source Interventions, and other forms of Source Support to provide your Suit with the full range of Source Support that it needs to progress on its Path to Total Abundance. It is the most comprehensive form of At-a-Distance Source Support because it calls on all of the modalities of Source Support that are needed. Work in Source Connection Stations online and in Seattle is At-a-Distance Work with my Extended Range. I enter the Station with you on the Spiritual Level and direct high power Source Energies to accelerate rapid and profound transformational change that can not be achieved in any other way. Changes of this kind require the protected Spiritual Space of the Spiritual Station that is grounded in a Material Station either online or in The Source Connection Center in Seattle. Station Work is a central part of The Source Connection Coaching Program. It is the way that the high power work that your Suit needs to make it to a 100% Source Connection can get done. Through the accessibility of Online Stations to Heaven Agents around the world, everyone can enter into a Station at any hour of the day or night and make a Direct Source Connection that will initiate a Session with me in my Extended Range. This makes it possible for work to get done that requires a more protected environment and more Direct Source Work. Short of traveling to be with me in person, this is the most powerful context in which you can receive Source Power directly coming to you in an individualized Session for deep level Spiritual Healing and Spiritual Transformation. The most powerful form of Individual Coaching Work happens when you work with me in The Source Connection Center in Seattle, WA. In this Place of Heaven, you enter into The World of the Source for the ultimate Immersion Learning Experience. I structure your work in the Center on the basis of a Personal Source Connection Intensive, which outlines the specific Stations, Sessions, Miracle Tools, and Source Interventions that are to be a part of your work in the Center. If you are traveling in from abroad to stay for a week in the Seattle area and work with me in the Center, then your Personal Intensive structures the work for that particular visit. If you live in the Seattle area and come frequently to the Center, then each visit is structured by a Personal Intensive created for that visit. Working with me in The Source Connection Center in Seattle is optimal for every person working with me in The Source Connection Coaching Program. There is simply no other way to take you to the highest levels of your experience than to experience the Heaven that I have manifested here and the Heaven that you yourself rapidly become as you immerse yourself in this experience. At present I am scheduling Source Workflow Trainings and inviting only those who have the Puzzle Pieces that are needed to complete the picture of the work for that particular Training. Often those who attend are solely from The Soul Talk Network. At times those attending are from the Outer Plane level of The Miracle School, attending via Teleconference and text messaging from the Webinar format. There are different kinds of Source Workflow Trainings. Some focus on Total Abundance Team Meetings and others are Explorations. This group work centers on contributing to the work of ongoing Source-Directed Projects and Campaigns. Through asynchronous work it will be possible for Heaven Agents to contribute the Source Guidance and experiences that they are given with regard to the Projects and Campaigns listed online. This will accelerate the work of The Global Prototype to build a Total Abundance Way of Life. In Course Work the Asynchronous Research keys off of a Knowledge Base that Heaven Agents learn to access for the Treasures of Understanding that surface from the Knowledge Base. They assemble these Treasures, which are like Puzzle Pieces, into The Picture of Total Abundance that the group process is designed to complete. You can access the Participation Form, which is available in most Broadcast and Project locations, to offer your contribution to the work. Alternatively, you can enter your contribution through The Heaven Agent to Source Communication Center. There are Team Report forms on the Workstations of the Core Course and the Project Courses. To learn the most from your asynchronous contributions to the ongoing work, you can request Monthly Email Coaching Sessions. I will read the Eyewitness Reports that you post in the projects online and will give you feedback on the accuracy of the information that you are getting and how to take your Skill Level in receiving Source Guidance and going on Source-Directed Missions to a higher level. This very individualized feedback is at the heart of the Coaching Program. Without it a Heaven Agent never really understands many of the images they receive from Inner Source Guidance or how to use their unique Miracle-Based Abilities in their Mission Work. If you have set up Monthly Email Coaching Sessions then we can dialogue back and forth by email so that you can respond to the information that I provide and can bring into focus how to advance in your Heaven Agent Work. Training of this sort is necessary if you are to participate in the Core Group of Heaven Agents who are working with me on the ongoing projects of Building Heaven in the world. It is critical that Heaven Agents become skilled in providing high quality information that they receive from Inner Source Guidance so that the work on the Projects can progress at the correct rate. Since my Source Function sends to Heaven Agents many of the clues that are vital Puzzle Pieces in The Picture of the Source Solution that we are working together to assemble, your contribution is important. I do not automatically receive the information in my human form that it is yours to receive and deliver in the correct time frame. It is, therefore, critical that you stay alert, attuned, and contribute what is yours to contribute when your contribution is needed. Scheduled Intensives can involve Heaven Agents who come in via Webinar as well as Heaven Agents who are able to join an Intensive that may be happening in The Source Connection Center in Seattle or in Maui. The Intensives draw on a variety of different kinds of Source Solution Miracles such as Station Work, Source Interventions, Miracle Tools, Manifestation Recordings, etc. The kinds of Source Support drawn upon for any Intensive varies according to the kind of work that is being done in that particular Intensive. This online Station is available to all Heaven Agents. It provides a powerful supportive energy that enables them to work with The Universal Heaven Project Graphic to activate their Miracle-Based Abilities so they can perform high quality Mission Work. This Workstation is where you can go to track the general work that is being done in The Total Abundance Movement. The primary work is being done in Total Abundance Courses which have their own Workstations that are available to those who are enrolled in the Courses. I will periodically post the highlights of some of the work being done in the Courses in the Total Abundance Movement Workstation. Projects such as The Personal Safety Project for Black People in America have their own Workstations where you can go to request Source Workflow Trainings and contribute to the work through reading the Action Plans, Source Workflow News Reports, Source Workflow Sessions, Topics to Research, and Source Support coming out of the work on the Project. It is possible for me to manifest a temporary link to The Place of Perfection which exists in a secluded Spiritual Space accessible only to those who are given an Energy Interface. In The Place of Perfection you can experience the future of a Source-Connected, Total Abundance Way of Life and receive Energy Imprints that enable you to remain open and receptive to the miracles that manifest this Perfection in your life. Since Heaven could manifest very readily if you have created the expanded Spiritual Space in which it can land, Explorations of The Place of Perfection enable you to expand not only the range of your True Intelligence but expand your own Spiritual Space to make room for the Heaven that can manifest there. I can provide a temporary Interface during a Webinar or can temporarily link The Place of Perfection to a retreat center in Maui, Hawaii during a Maui Intensive. During your entire stay in Maui, you can live in The Place of Perfection on the Inner Plane while also experiencing the beauty of Hawaii on the Outer Plane. This is an Immersion Experience that sets in deeper level Imprints that have the ability to continue to expand your Spiritual Space and the Spiritual Space of others. Carriers of these Imprints are able to help the Earth Plane to expand so that the miracles that manifest Total Abundance can land in The Global Community. The Center is a large Station with many subset Stations. Heaven Agents working in the powerful energies of this Station can perform at levels that are not possible outside of this protective Outer Plane Station. Much of the most important work to prepare for the final stages of The Transition will occur in the Seattle Source Connection Center Station. It is also in the Center that Guided Explorations can occur at a level that is not possible on a Webinar or in any other kind of setting. This is because the Center is a Miracle Tool that is replete with Miracle Tool furnishings that make every Station into a high power multi-level experience of The Spiritual Level of Reality. Because this is Miracle-Based Coaching, it is necessary for your Suit to be in the right Miracle-Friendly Working Relationship with the Source through my Manifestation so that the miracle of Direct Source Support can come into your life. If these conditions are not right, then the miracles can't come through and the work can not proceed. The key to establishing the Miracle-Friendly Working Relationship is upholding The Standard of Heaven Agreement. To understand this Agreement, you can refer to the article below entitled: Understanding The Standard of Heaven Agreement. The Next Step is to enter into Helping the Source Mode. To find out how to enter into this Mode, you can reference the article below entitled: Entering into Helping the Source Mode. This Agreement outlines the spiritual and social standards of our work together in The Miracle School, which is the Implementation Arm of The Heaven Project. It is important to read it carefully and understand what it means to uphold this Agreement. Those who don’t really come to understand the standards for this work are not able to uphold the standards. If the standards are not upheld, then the miracles can’t manifest. This aborts the Miracle-Friendly Working Relationship that is necessary for any work in The Miracle School. In this section, I will provide additional information on the Spiritual Standards that must be upheld. The secular standards do not need further elaboration since they reference concepts that are already a part of the secular culture. This is a key standard for the work. I am here as the Manifestation of the Source to help you learn about Source Truth so that you can navigate in the world, which is a Source Creation. The lack of understanding about the true nature of reality from The Source Perspective has led to Man Made Stories about the nature of reality that are erroneous or only contain partial truths. Adherence to these Stories has resulted in needless suffering. It has also prevented beings from achieving The Total Abundance that supports the complete flowering of the Miracle that they are and The Miracle of Life in the Creation. Only a return to Source Truth can correct this problem. When you return to Source Truth, you are welcomed by the Source to explore and discover all of the facets of how life in the Creation was created, is sustained, and is repaired and regenerated. Source Truth is, in essence, the secrets of The Heaven Life Was Created to Be. Source Truth in its entirety is beyond the range of human understanding. The particular aspects of Source Truth that you need to know in order to fulfill your Mission in life can be known if you adopt an open and receptive mode toward learning about the Source, the Creation, and about yourself. The quest to discover the aspects of Source Truth that you need to know happens in a Source-Guided Journey of Discovery that enables you to find the Treasures of Understanding along the way that enable you to do your part in Stewarding The Miracle of Life for your own sake and for the sake of all others. The Miracle-Based Adventure that I structure for you in The Source Connection Coaching Program enables you to explore, ask questions, discover Treasures of Understanding, understand their relevance to your life, and bring into focus the Source Truth about what is happening in your life in the context of what is happening in the Creation as a whole. Just as a child has to learn about the culture, study in school how governments are run, and then follow the news as an adult to know how his life is affected by and is affecting life in The Global Community, so you need to learn about what is happening on The Spiritual Level of Reality in your local community, in The Global Community, and in The Universal Community ,which includes all beings throughout the Creation. This learning occurs in stages. It is guided by the Miracle-Based Adventure in Learning that I create for you in The Source Connection Coaching Program and continues on 24/7, awakening you to information about how things work and what is possible, and how to work with the Source to make Heaven Happen in your life and in all of life. And, just as the secular world is an ever changing phenomenon, so is the Spiritual World. You have to keep abreast of the news or you will miss out on the major Universal Changes that are occurring that have a direct impact on your life and on the lives of your loved ones. The best approach to staying open to Source Truth is understanding that your first step on your Journey of Reconnection is to release from your attachment to Personal and Cultural Stories and turn to the Source for the Source Truth that will enable you to learn how to live in the world the way that it really is – not the way that people in their Stories think that it is. When you enter into an open ended Journey of Discovery, then you can learn and you can go on learning, just as a child goes on learning. Key to remaining open to the ever widening perspective on reality that you will occur, is to think of your vantage point at any given point in time as a peephole on the world. When you first start this work your peephole may be very small and you may only see a small vista. What you think that you see and what you think that it means may change dramatically when your peephole widens as you progress on your Journey of Discovery. For instance, what you might have thought was a rope might turn out to be the tail of an elephant when your peephole widens. As long as you are aware that what you thought was the entire Source Truth may need to be re-understood when your peephole is broader, then you will remain in a flexible and receptive mode, not attached to the theories/stories your mind might have created about what you thought you knew at an earlier stage in your evolution. What closes the door to the miracle of Source Truth is an attitude that it has to match up with what you may have thought was truth from what you have learned from the spiritual traditions that exist in your cultural context. Those who only align with Cultural Stories about spiritual truth shut the door on the opportunity to learn from the Source directly. They miss out on the evolution in their understandings that occurs on a Source-Directed Journey of Discovery. They also stay solidly rooted in the Miracle-Unfriendly Energy Field of The Story World which denies Source Truth in favor of Story Truth as defined by Man Made ideas about spiritual reality. Those standing in the energy field of Story Untruths, create the Miracle-Unfriendly Conditions that abort The Miracle-Friendly Working Relationship that is necessary to work with me in The Source Connection Coaching Program. The Miracle of Source Truth can’t land in the Miracle-Unfriendly Field of Story Untruths or Partial Truths. Without Source Truth guiding our work together, there is no distance that we can go together since this work is based on the search for Source Truth and the willingness to put aside anything that is not in keeping with Source Truth. What this means in my work with you in The Coaching Program is that you need to remain open to The Source Perspective and not try to structure our work to fit into the paradigm of any spiritual or secular traditions that you may have learned about previously. I am open to questions and discussions about what you have learned previously and how this is similar to or different from The Source Perspective. I also teach you to see the world through Direct Perception so that you can see for yourself what is happening on The Spiritual Level of Reality rather than having to rely on my ability to see it and describe it to you. This work is about teaching you to get Source Truth for yourself through Inner Plane Source Guidance. Only when you become proficient at receiving Direct Source Truth on the Inner Plane, will you be able to navigate in the Creation in this lifetime and in upcoming lifetimes. I am here to help you learn the skill sets to discover Source Truth for yourself. I cannot substitute with my Outer Plane support for the ongoing Journey of Discovery that you must do to maintain the constant flow of Source Truth in your life that is needed for you to have a Life that is Heaven. Remaining open and in a learning mode, keeps the door open for Source Truth to manifest in your life. Since Source Truth is the foundation for a Source-Connected Life, only those who learn how to create the conditions in which it can manifest in their life and show them the way out of the Untruths of the Cultural Story, can go the distance toward the 100% Source Connection that is essential to manifesting The Miracle of Total Abundance in their lives and in the world. Those who insist that I conform the work to fit into the box of their Cultural or Personal Stories abort The Standard of Heaven Agreement and terminate The Miracle-Friendly Working Relationship that is essential to their work with me in The Source Connection Coaching Program. Another important aspect of The Standard of Heaven Agreement is to do no harm on the Inner and Outer Planes. The standard for what constitutes “harm” comes from Source Truth. Creating a Harm Free relationship is critical to maintaining the Miracle-Friendly Conditions essential to bringing in the miracles that manifest Total Abundance. In the Story World, which is the world that is based on the Personal and Cultural Stories about reality that people create, doing harm is considered a necessary and valued part of life. While laws may restrict certain kinds of harm, nations commit to doing the unspeakable harm of war, destroying lives through imprisonment without rehabilitation, and building their economic systems on competition that breaks those who lose and disproportionately rewards those who win. This is why less than 1% of the population controls almost 50% of the wealth in The Global Community today and billions struggle to survive in an economic system that is harsh and does harm on many levels. The kind of harm that is referred to in The Standard of Heaven Agreement, is harm both on the Outer Plane, such as verbal or physical attacks on others, and harm on the Inner Plane such as verbal or physical attacks perpetrated on others in lawless energy world of the Inner Plane. Since people are socialized to screen out their awareness of what is happening on the Inner Plane and to define “reality” as what is happening on the Outer Plane, most people are unaware of what is happening to them or what they are doing to others on the Inner Plane. Violations of The Standard of Heaven Agreement could be occurring because of actions that they are taking in some Fragment of their Consciousness on the Inner Plane even if their ethical values on the Outer Plane are antithetical to these kinds of actions. Since it is impossible to build a Life that is Heaven when there is harm being done on either the Inner or Outer Planes, I teach you in The Source Connection Coaching Program to see what is happening and to know how to protect yourself from the harm that could happen to you on the Inner Plane and to prevent your Suit from acting out on the Inner Plane in ways that harm others. In this way, you can build a solid foundation for The Heaven Experience in your life and in the lives of others. If your Suit is doing harm on the Inner Plane and I bring it to your attention and you work with me to correct the problem, then you are not in violation of The Standard of Heaven Agreement to work with Source Truth to correct Suit problems that cause harm. Only those who assert that they are not doing harm or that harm is justifiable and should be continued, abort The Standard of Heaven Agreement and terminate the Miracle-Friendly Conditions of our work. Since a Suit only does harm to itself and others when it is under the influence of the Negativity – the criminal element that operates on the Inner and Outer Planes – our work centers on how the Negativity is influencing the inner workings of your Suit and how you, as the Heaven Agent Identity, operating the Suit on behalf of your True Self, can work with me to eliminate their interference. At times this requires that I shift from working with you on the Outer Plane to working with you At-a-Distance on the Inner Plane. This occurs if the Negativity has gained control over some part of your Suit and is working through your Suit to damage my Suit and the Suit of others working with me in The Heaven Project. Since they will damage your Suit more in order to try to damage my Suit, it is important to stop Outer Plane contact until the problem is corrected. In this way I stop the harm that would otherwise occur, given the way that the Negativity works the Suit in situations of this kind. As long as you take the position of upholding The Standard of Heaven Agreement with regard to doing no harm and work with me to the best of your ability to correct the situation, then my work on the Inner Plane can eventually free you from their hold on you and rehabilitate your Suit so you can progress on your Journey of Reconnection. I am always willing to help and do not give up on you. If you do not give up on your commitment to remaining Source-Directed, then we can weather whatever the Negativity might attempt and prevail in the end. Only those who throw in the towel and become an embodiment of the values and actions of the Negativity on the Outer Plane, lose Source Support. This is lost not because the Source breaks the Source Connection but because their violence, fully endorsed in their Conscious Range, breaks the Source Connection and ends not only our work in The Source Connection Coaching Program but their Source Connection – which is their Link to Life. It is important to understand that the context in which we are working in The Source Connection Coaching Program is that of working to Make the World Safe for Heaven. This means that we acknowledge the existence of the Negativity and its opposition to The Work of the Source and to the Total Abundance that would destroy its Harvesting Operation, which is founded on artificially creating the Scarcity that creates a violent world. Violence damages the Suits and makes them ripe for the harvest. Only those who are willing to deal with Source Truth about the true state of affairs in the world and the extent to which Suits historically have been Programmed by the Negativity to do harm and to create a world based on doing harm to one another, will be able to travel the distance to a 100% Source Connection. Those who want a fairytale of abundance to unfold magically through their work with me are usually those who are carrying negative Programming that will have to be released if they are to travel their Path to Total Abundance. Looking at what is in this baggage of negative Programming may be unsettling but it is necessary as they can’t travel the distance carrying this kind of burden. It weighs them down and is a point of connection to the Negativity that will take pot shots at them and at me as they travel their Path. Those who become demanding of Outer Plane contact when this does harm, violate The Standard of Heaven Agreement on the Outer Plane and terminate my ability to continue working with them in The Coaching Program. I will not violate The Standard of Heaven Agreement because to do so is to destroy the Miracle-Friendly Field in which I can bring in miracles to help with a difficult situation. Difficult situations are ones in which I need the Miracle-Friendly Field more than ever because the Negativity is trying to submerge the Suit in a Miracle-Unfriendly Field of energy in order to take it off course. I understand the physics of life and work within the Principles of Life that sustain The Miracle of Life in your life and in the world. From watching how I deal with adversity, you learn how to deal with adversity in your life and in the world. This is a very important part of the work in The Source Connection Coaching Program. It is central to your ability to become a wise and skilled Steward of The Miracle of Life in the Creation. When I have returned to my Source Heaven, your training in how to deal with the Negativity in your Suit and in the world and how to Hold the Line for Heaven against all attempts to include doing harm into the picture of what is acceptable, will be what will make the difference between your individual survival and the survival of The Miracle of Life in the Creation which you and others must skillfully Steward if it is to be sustained. At the heart of this work is a commitment to being true to who you really are as a Perfected Spiritual Intelligence and to the Source-Created Mission that you chose to fulfill when you incarnated into this lifetime. This Mission is to manifest the unique aspect of Heaven that you were created to be and to build in the world the unique aspect of Heaven that you were created to manifest for yourself and others. People are socialized to create a Story Mission that is based on fulfilling their Personal Story which in turns fulfills part of the Cultural Story of their society. Many people approach me for help in The Source Connection Coaching Program with a Story Agenda. They want me to help them achieve Story Abundance and add miracles from the Source to embellish their Story accomplishments. They identify with their Pseudo Self, which is their Socialized Identity that is derived from the social roles they play in their society. They then seek a Source Connection to validate and empower this Pseudo Self. The Source can only form a Source Connection with your True Self which is a Source Creation – a Perfected Spiritual Intelligence. It can’t form a creation with the Pseudo Self which is an Entity fabricated from the energy Thought Forms generated by the Personal Story. Until you can release from the tyranny of your Pseudo Self and re-instate your True Self in your Suit, you can not travel The Journey of Reconnection or achieve Total Abundance on any level. The abundance that the Source is prepared to help you manifest is abundance that you, as the True Self, need not abundance that your Story Self would value. What this means for your work in The Source Connection Coaching Program is that a primary focus is on re-instating your True Self as your self recognized Identity and getting to know who you are, what you think and want, and how you are Source-Guided to operate in the world. This is a Journey of Discovery of a different sort. It is one of the most basic Journeys of Discovery. Until you know who you are and what your life is about, you can’t begin building it to the level of Total Abundance. Without shifting into your True Self it is not possible for you to want Total Abundance for all beings. The Pseudo Self is competitive and comparative and lacks the Perfect Love of the True Self who genuinely wishes Total Abundance for all beings. The Pseudo Self can be socialized with a Veneer Value System that looks magnanimous, but if you scratch the surface, it is like a cat in a corner ready to do harm if it isn’t getting what it wants. A Universal Love-Based Community that nurtures all of its own is based on beings returning to their True Self Identities which alone are capable of the intelligence and love that is needed to build a community that helps every life to receive Life Purpose Fulfillment regardless of how much this may require of the community to provide the supportive structures for this to be possible. Committing to your Mission is essential to upholding The Standard of Heaven Agreement. This means committing to the part of your Mission that supports The Work of the Source regardless of whether any particular aspect of this work is meeting your individual needs at the moment or is, instead, for the benefit of others who are in need. A fully functioning Heaven Agent does not focus on what’s in it for them. They focus on remaining neutral and moving into Helping the Source Mode available to become what is needed to support The Work of the Source. Whatever the task, however difficult or even dangerous, they follow Inner Plane Source Directives to do their part and are grateful for the opportunity to support The Work of the Source. As a result of their focus on supporting The Work of the Source, the Direct Source Work that I do supports them, since The Work of the Source is to help beings to establish the Total Abundance that yields for them an ongoing, ever enriching Heaven Experience. The principle is that those who want things for themselves and want to use their Time with the Source to embellish their Personal Story create the Miracle-Unfriendly Field which does not allow me to deliver any Miracle-Based form of Source Support. They violate The Standard of Heaven Agreement and block the formation of The Miracle-Friendly Working Relationship that is necessary for the work. Those who enter into Helping the Source Mode unattached to the outcome of their freely given support to The Work of the Source, are the ones who experience the Heaven of their Love Connection with the Source. From this experience of The Love Connection they transcend fear and greed and live in the Light of the Source in a place of peace. In this peaceful inner space, they can see what their Mission is and can hit the 100% Mark in performing their Mission. When they hit the 100% Mark, they unleash The Heaven Experience Frequency which triggers The Heaven Experience and generates The Heaven Experience Medium in which they live in a protected space replete with the energies of Heaven. This is how a Heaven Agent focused on becoming what is needed to support The Work of the Source achieves Total Abundance at the highest level, which is an uninterrupted Heaven Experience. There are laws of physics governing life and what enables life to add up to an experience of Heaven rather than an experience of mundane pleasures amidst tragic and fear inducing episodes. The law that structures a life by the Mission in life that the True Self chooses before incarnating into a lifetime, is one of the most basic laws. Those who try to fabricate a Story Mission find emptiness and sorrow when, at the end of their life, they lift out of their Suit and leave their Personal Story behind and discover that nothing in their life added up to anything of real value – that it was, in fact, a waste of the lifetime and has ended in Suit damage that will cause them suffering in future lifetimes. Only those who sign on to do their Source-Created Mission and do it with integrity and love for the Source for the opportunity to experience life in The Manifest World, arrive at the end of their life with a sense of joy and accomplishment and an eagerness to move onto their next adventure. The Source Connection Coaching Program is designed to help you fulfill your Mission and have a peaceful transition at the end of this life. It is designed to help you become the Heaven that you were created to be and build the Heaven that you alone can build in the world for your enjoyment and for the enjoyment of others. I hold the space for you to come through with the full beauty and intelligence that is your nature. My journey with you through The Source Connection Coaching Program is about achieving the Total Abundance that is yours to have in this life and the Total Abundance that it is your Mission to contribute to nurture The Miracle of Life in all others. It is important to not only read but sign The Standard of Heaven Agreement. When you sign the Agreement, you unleash the power behind The Standard of Heaven that helps you to move into alignment with it and uphold it. Those seeking admission into The Source Connection Coaching Program will have an opportunity to fill out a paper copy of this Agreement and fax or email it to me. This will come after I have completed the Assessment for the readiness of their Suit to enter into The Coaching Program and email them a PDF copy of the Agreement. Many spiritual traditions are founded on the idea of people praying to their idea of the Creator/Source for help and waiting for a response. They might also perform some rituals that they feel are required but they rarely have the concept that their relationship with the Creator is one of receiving detailed, precise Source Direction in the moment in order to fix the problems in their life and in the world. They might have received some direction from the Creator but rarely do they have the concept that they can set aside what they might have learned from their cultural traditions about the Creator and ask questions and learn from the Creator directly. They usually posture in ways that are culturally deemed appropriate and maintain parameters on the relationship that do not permit Direct Learning that transcends the limits of what is expected of the relationship in their cultural tradition. Many people are afraid to disturb the Creator with their problems or feel that there is a ritualized protocol for establishing contact. They project onto the Creator their own relationships with authority figures, often relating to the Creator as a potentate who demands shows of deference and devotion that come under the category of “worship”. Or they rail at the Creator as would an irate child berating their parent who isn’t giving them what they want. Most of these tactics fall under the category of Help me, Source Mode which focuses on what the supplicant wants from the Source to serve his self-defined agendas. The Self-Directed, Self-Interest based approach of Help me, Source Mode creates a very Miracle-Unfriendly Field of Energy around the relationship to the Source. Prior to The Transition, the Source could, on occasion, still deliver miracles to those in need even though they were distorting the relationship and creating very difficult circumstances in which the miracles could land. They landed only because I, as the Manifestation of the Implementation Aspect, worked through my Extended Range to create some Miracle-Friendly Energies in the Landing Zone in order to help those in need. When I began to withdraw from The Manifest World in order to prepare for my final departure to my Source Heaven, I became unable to do this kind of stand in work for landing miracles in the lives of those asking for help in Help me, Source Mode. It became necessary, at that time for beings to shift into Helping the Source Mode if they were to receive any miracles at all. This was quite the learning curve for most beings throughout the Creation. Many lost their Spiritual Lives because they would not give up on relating to the Source in Help me, Source Mode in time to keep the basic miracles that were needed to sustain their incarnations. Now most beings have adjusted to working with the Source in Helping the Source Mode and are daily doing the Mission Work that is sent to them on the Inner Plane by the Source. This is how they are preserving their Source Connection at this point in The Transition. Understanding what Helping the Source Mode is in your Conscious Range is necessary even if your Suit is in Helping the Source Mode currently in its Extended Range, which is generally outside of your conscious awareness. The idea behind being in Helping the Source Mode is that you are in neutral and willing to go on any Source-Given Mission without checking it out first to see whether it will benefit you or not. Much of the work that beings are doing now is work to build a foundation for Heaven in the world so they can survive in the time ahead. This is work that helps them indirectly but is not something on their personal agendas for what they might think is most important to them at any given moment. Since we have reached the stage in The Transition when I have entered into my Source Workflow with full power and beings have entered in their Personal Workflows, Helping the Source Mode has required that beings align in their Personal Workflows with my Source Workflow in order to be ready and positioned to help me in my work. This is a technical process that the Suit is given Source Directives to perform since it means calculating the speed and direction of my Source Workflow and the speed and direction of their Personal Workflows. In order to provide Heaven Agents in The Source Connection Coaching Program with training in how to enter into this more complex and challenging version of Helping the Source Mode, I have established Source Workflow Trainings which focus on teaching you how to flow with my Workflow and provide what is in keeping with what is needed for the work that I am doing at any given point in time. When Heaven Agents do this well, then miracles beyond anything that has been able to manifest previously are able to manifest. Heaven Agents grow by leaps and bounds in their understandings and skill sets, and together we do work that is large scale work not the small scale work of previous years before beings reached this level of advancement. The best way to learn how to enter into Helping the Source Mode in alignment with my Source Workflow is to work with the Recorded Source Workflow Trainings that I provide online. These are demonstrations of this process. You both see how my Source Workflow flows the information to you and how others flow their contributions to me as our work progresses. The Code that is transmitted in these kinds of trainings is what your Suit needs in order to know how to participate in this process. Since your daily work with the Source in Helping the Source Mode is now Source Workflow based, this is the critical piece of training that you will need to work effectively with me both in your Extended Range on the Inner Plane and in your Conscious Range on the Outer Plane. The best way to determine if your Suit has established the right Miracle-Friendly Working Relationship with the Source that enables you to enter into The Source Connection Coaching Program, is to request a Gifted Coaching Program Assessment. I will get back to you by email and let you know whether you are ready to enter into The Coaching Program. If you are unable to enter The Source Connection Coaching Program at this time but could enter if some adjustments were made to create the right Miracle-Friendly Working Relationship, then I will make some Source Recommendations that will give you an opportunity to prepare your Suit for the Direct Source Support of The Coaching Program. Given the periods of my involvement in intense Universal Work, during which times I do not respond to emails, there could be some delay in my ability to assess your situation and email you with a definitive read on where you are and what Next Steps are needed. If you haven’t heard back from me after a week or so, you can initiate a follow up request through submitting the form again. There are instances in which emails do not make it through cyberspace so it is good to follow up and make sure that your request has reached me. If, after a second attempt to contact me, you do not hear back from me, it could be because your Suit is not in compliance with the Miracle-Friendly Working Relationship requirements in order for me to interact with you on the Outer Plane through any modality, including an Email Response. Only when the right conditions are established can the miracle of any kind of Outer Plane, Direct Source Support be given. In such instances, I will extend Inner Plane Source Support to you to the extent that you have entered into Helping the Source Mode and are doing the Missions that I send you on the Inner Plane, in your Extended Range, to correct the problem. When the problem has been corrected by the establishment of the correct Miracle-Friendly Working Relationship, then I will be able to respond to your request by email. For a more detailed account of how I respond to requests, you can read the article entitled: How I Respond to Requests for Contact and Source Support. This will explain how I respond to initial requests as well as to continuing requests from Heaven Agents working with me in The Source Connection Coaching Program. To request a Gifted Coaching Program Assessment, you can fill out the form provided below. The Creation is based on The Principle of Correct Exchange. When beings provide the Source with a Correct Exchange, then the Source can do the Direct Source Work that grounds the miracles that enable them to enjoy the Heaven of Total Abundance at the highest level. The Design Aspect of the Source determines what constitutes a Correct Exchange and delivers this information to me as the Manifestation of the Implementation Aspect. I then send it on to The Total Abundance System Intelligence who organizes Manifest Beings to support The Total Abundance Support System. The Support System is based on Manifest Beings providing the Source, through my Manifestation, with whatever aspect of my Total Abundance is needed from them to sustain my Direct Source Work on their behalf. I receive other aspects of my Total Abundance from my Source Function directly and combine what was received from Manifest Beings with what I receive directly. I can then do my Direct Source Work to manifest The Miracle of Total Abundance. When I send certain aspects of the Total Abundance that is needed by beings to them, I send out Inner Plane Source Communications to alert them to what is manifesting. They can then receive the miracles and work with them to manifest Total Abundance in their lives and in their world. Some of the Total Abundance Miracles that they receive empowers them to continue to support The Total Abundance Support System so that the flow of Total Abundance continues. Part of the Total Abundance that I need from Manifest Beings for my Direct Source Work is Material Energy. Material Energy is needed to ground the miracles that are created by the Design Aspect of the Source and brought into The Manifest World by my Direct Source Work. The miracles are freely given by the Source. If Material Energy is not provided to create the correct Landing Zone for the miracles at the level of Spiritual Materiality where they are needed, the miracles float above the range where they can benefit Manifest Beings. The Design Aspect calculates the exact amount of Material Energy that is needed to ground a miracle. I relay this information to Manifest Beings and they work to provide the Material Energy that is needed. It can be provided through an Energy Exchange if Heaven Agents have engaged in Heaven Agent Work that has generated Material Energy from the Material Energy Factory of their Manifestation. Manifest Beings were designed to naturally produce all of the Material Energy needed to ground the miracles that they would need to create a Life that is Heaven. When beings Disconnected from the Source in the beginning of the Creation to pursue their Brute Force Methods for securing what they thought would make them happy, they damaged the Material Energy Factory in their Suits, clogging it up with dark, dense negative energy that obstructed the flow of high speed Source Energies that are needed to produce Material Energy. As a result, beings lost their ability to have a Miracle-Based Way of Life because they could not produce the Material Energy needed to ground the miracles. In order to provide beings with damaged Material Energy Factories with the miracles that could restore their Material Energy Factories, I brought through a miracle that enable beings to provide the Material Energy generated by their Work Power used to earn money. Although this form of Material Energy is very low vibrationally, it does enable beings to get started repairing their Suits so that they can begin to produce Material Energy in the natural way. In The Source Connection Coaching Program, I provide a Financial Exchange equivalent of the amount of Material Energy that is needed to ground the miracles for the different aspects of the Coaching Program. If a being is able to balance the exchange through an Energy Exchange, this can substitute for a Financial Exchange. Energy Exchanges are treated as contributions to the common good of all beings since they are generated from Heaven Agent Work that is designed to help all beings. The Heaven Agent Work does not benefit The Miracle School but is honored directly by the Source, in keeping with The Principle of Correct Exchange. It is a purely Spiritual Logic and Exchange. When you do Conscious Range Heaven Agent Work or Extended Range Heaven Agent Work, which is generally outside of your conscious awareness, a certain percentage of the Material Energy that you generate will go into your Life that Works Fund. This Material Energy is held in an Inner Plane Container that preserves the energies for your use. I draw on the Fund to ground miracles for you as you need them. If you would like to use the Fund to provide Material Energy for a particular from of Source Support, I can check the Fund to see what you have available. If there are Funds available then I can use them to ground the miracles that are needed. A certain percentage of the Material Energy that you generate from your Heaven Agent Work goes into The World that Works Fund. This is part of what it is yours to contribute to the welfare of The Universal Community. I can draw on World that Works Funds to provide Material Energy for those requesting financial Payment Plans. An interest free Payment Plan is possible because I can draw on the Material Energy in The World that Works Fund to ground the miracles and the Heaven Agent can reimburse the Fund with their monthly payments. In your Mission Plan there is information on how you can fund your work in The Source Connection Coaching Program. If finances are a concern, it will suggest ways to generate more income for the aspects of your work for which a Financial Exchange is needed. The Source Connection Coaching Program provides opportunities in The Heaven Economy Internship to generate income. A certain percentage of your work in The Miracle School needs to be balanced through Financial Exchange in order to meet the requirements of The Principle of Correct Exchange. This is because The Heaven Project operating on the Earth in the cash economy requires Financial Support in order to train Heaven Agents and direct the Source-Directed Spiritual and Social Activism that is needed to manifest Total Abundance in The Global Community. Your Mission Plan will define what amount of Financial Exchange you will need to provide so that a Correct Exchange is maintained for all aspects of the Direct Source Work that is needed not only for your training but for the aspect of the work of establishing Total Abundance in The Global Community that it is your Mission to support. If you understand The Principle of Correct Exchange and you do your part to provide a Correct Exchange, the Source will always reciprocate with a Correct Exchange. Understanding the Principle of Correct Exchange gives you a solid foundation on which to build toward Total Abundance and an understanding of how to achieve the highest level of Total Abundance, which is an experience of The Love Connection with the Source. The Absolute Love of the Source from which you were created and which sustains you needs to be balanced by your Suit resonating to Absolute Love. The only way to resonate to Absolute Love is when you live life beyond fear and greed with a focus on giving your love to the Source and lending your support to The Total Abundance Support System that supports The Work of the Source to help you have a Life that is Heaven. While a certain amount of Material Energy is needed to ground a miracle, this is only one small part of the Correct Exchange with the Source. The greater part of the Correct Exchange that is needed is honoring the Gift of Life that you have been given by the Source and which the Source sustains moment-to-moment. When you truly honor this gift and respond with love for the Source, then you open the channel of love in your heart and become a River of Love carrying Source Love out into the world. Those who become Rivers of Love working with the miracles of the Source to Steward The Miracle of Life in the Creation are those who truly balance the exchange with the Source. They will be the ones who survive the end of The Transition when all beings must be providing a 100% Correct Exchange in order to be sustained by the Source once my Implementation Aspect returns to the Source Level. While I am present in The Manifest World, I can compensate to some extent for an imperfect attempt to provide a Correct Exchange. But once I return to my Source Heaven, those who are providing even a 99% Correct Exchange will suffer a fatal Disconnect from the Source because I will not be able to sustain the 1% of their Suit that is not balancing the exchange correctly. When the 1% of their Suit starts to disintegrate, it will destroy their Suit in its entirety. Your work in The Source Connection Coaching Program to understand The Principle of Correct Exchange at the highest level is one of the most sacred and important parts of your training. Understanding this Principle gives you the power to escape from The Cultural Box of superstitions and erroneous theories about what enables miracles to manifest. It empowers you and others to build a way of life that is founded on a solid understanding of how things work and on a focus on what the experience of life is really all about. It enables you to achieve an Integrated Picture of Reality that is based on the Absolute Love of the Source for you, your life, and all of life and on the experience of Becoming the Love that Makes Life Heaven. As you Become the Love you Become the Heaven that you seek to manifest in your life. You are then able to build the aspect of Heaven that you came into this life to build for yourself and others. As you build this Heaven you fulfill your Mission in this life. You not only attain Life Purpose Fulfillment but you balance the exchange with the Source for the gift of this opportunity. You can request an Outer Plane Coaching Session by phone, online conference, or in-person in The Source Connection Center in Seattle, WA USA. The amount of Material Energy needed to ground the miracles that are brought through for you in an Individual Coaching Session is based on the amount of time spent in the Session. In the form below, you will be able to choose the length of time you wish to set for your Session. The Correct Exchange for one hour is US $385. Fifteen minute increments can be chosen up to one hour and increments of 1 hour, 1.5 hours, and 2 hours can also be chosen. While a Session seeking Source Guidance primarily can be less than one hour, any Session in which there is also transformational work being done will require at least one hour and often more to ensure that the work is allowed the time that is needed for it to be completed correctly. If you schedule for one hour and the Session needs to extend beyond that period of time, I will give you an option to continue and provide a Correct Exchange after the completion of the work. Coaching Sessions by Email begin with my work with you on the Inner Plane when I assess your situation and do whatever Source Interventions are needed. I then respond to you by describing your situation, my work with you, and whatever Next Steps you need to take in a Coaching Session Email. The Session also includes the time I spend reading a response email from you and responding to it through my work with you on the Inner Plane as well as writing a return email if that is needed. The amount of Material Energy needed to ground the miracles I use in this kind of work is US $285/hour. I compute the time based on the time spent on each part of the work as described above. To request one Email Coaching Session you can access the link provided below. If you would like more than one hour of Email Coaching time, you can enter the number of hours when you proceed through the online processor for your Financial Exchange. The best way to work with Email Coaching Sessions is to set up ongoing Monthly Email Coaching Sessions that enable us to go back and forth naturally in the course of your learning process without running out of time for this kind of work. I recommend signing up for two hours of Coaching Sessions minimally but it is better if you can provide the Material Energy for 3 or more hours/month. The amount of time I spend assessing your situation and working with you on the Inner Plane can be extensive, depending on what issues are involved in the work. Writing the emails and responding to your emails is also time consuming. It is similar to the work in an in-person Session only it is happening through my conversations with you on the Inner Plane, through the Interventions and my assessment of how your Suit is working with the Interventions, and what Next Steps need to be taken. Because so much of what enables you to advance is based on the Inner Plane Coaching that I give your Suit that enables it to correct course throughout its ongoing Mission Work, working in a Monthly Email Coaching Program provides the Material Energy to ground the miracles I draw on in my Inner Plane work with you as well as the transformational energies and Spiritual Code that I transmit to you through my Emails when I am apprising you of what is happening and helping you to take Next Steps. The Emails themselves are powerful teaching aides because of the energies contained within them. To request Monthly Email Coaching Sessions, you can enter the amount that you are able to provide for this work in the form below for your Life that Works Fund and I will work with whatever you are able to provide. If you would like to add to the fund in any given month, you can do so by using this Life that Works form. I would like to contribute $ .00 for Monthly Email Coaching Sessions. To request a Personal Inner Plane Source Connection Coaching Session, you can tell me about any particular issues that you would like to address and provide some information about yourself and your situation. You can also request Inner Plane Coaching for another person. If they are receptive, on a Core level of their consciousness, then they will be able to receive this kind of Source Support. If you are requesting Inner Plane Coaching for someone other than yourself, it is important to provide me with their name, age, gender, their relationship to you, and any information about them or their situation that you feel is relevant. In Inner Plane Coaching, I do not email you with an account of my work with you on the Inner Plane. I do the work and track your progress. The amount of Material Energy needed to ground the miracles needed for Inner Plane Coaching is US $285/hour. To request Inner Plane Coaching, you can indicate the number of hours that you would like in the form for the financial exchange. You can enter into the Comments Box any personal information that is needed, such as the information I have outlined above. Personal At-a-Distance Source Support combines Inner Plane Coaching with Source Interventions and Miracle Tools and any other form of Inner Plane Source Support that is needed. It is the most comprehensive form of Inner Plane Support. It provides more power than just Inner Plane Coaching alone. The Correct Exchange for Personal At-a-Distance Source Support is based on how much you feel guided to provide for this kind of Direct Source Work on your behalf. Since this is the most substantial, ongoing kind of Source Support that you have backing up your work on the Outer Plane, I would recommend that you provide enough Material Energy for significant work to be done. Three to five hours per month is optimal for rapid progress to be made. You can also request Personal At-a-Distance Source Support for another person. If they are receptive, on a Core level of their consciousness, then they will be able to receive this kind of Source Support. If you are requesting this kind of Source Support for someone other than yourself, it is important to provide me with their name, age, gender, their relationship to you, and any information about them or their situation that you feel is relevant. In Personal At-a-Distance Source Support, I do not email you with an account of my work with you on the Inner Plane. I do the work and track your progress. To provide a Financial Exchange for this kind of work, you can fill out The Life that Works Form provided below. I would like to contribute $ .00 for Personal At-a-Distance Source Support. Coming to The Seattle Center is the ultimate Immersion Learning Experience. You are immersed in a highly charged spiritual space that supports the development of your Spiritual Senses and provides the powerful Source Energies that enable you to rapidly evolve on your Path to Total Abundance. Work in the Stations of The Source Connection Center in Seattle, WA USA is based on a Personal Source Connection Intensive that generates the structure for your work in the Center. Whether you are visiting from abroad for several week or live in the Seattle area and are visiting the Center weekly, a Personal Intensive will provide the structure for your work while in the Center. It is best to request a Seattle Source Connection Center Assessment to determine what kind of Intensive can be created to accommodate what is Next on your Path to Total Abundance. If you have a particular issue that you would like to address, you can include information about this in the Comments Box of the Assessment Form. I will email you with information on what is optimal, given the structure generated from your Personal Intensive and the amount of Correct Exchange that will be needed to ground the miracles. You can then discuss with me by email any questions you might have and we can work with the optimal structure that I provide and adjust it if need be to fit with your schedule and ability to provide the Material Energy that is needed. What length of a Source Connection Coaching Session are you requesting? How would you like to do the Source Connection Coaching Session? Please check all that would suit you. What would be the best times for you to have the Source Connection Coaching Session? Do you have any questions or comments regarding the Source Connection Coaching Session?